SherlockHolmes Expert Asked on 5th November 2018 in General Knowledge. 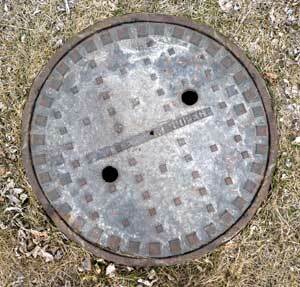 1) Circular covers don’t need to be rotated or aligned when placing them on the opening . but if you take an example of triangular covers you have got to slightly align in a particular way to fit in the opening. 2) Circular covers never fall inside their opening..but where as if taken an example of square covers , it could fall inside if it is inserted diagonally. PANKAJ Genius Answered on 5th November 2018.